Welcome to the 350th edition of Phish.Net's Mystery Jam Monday, the first and easiest of November. The winner will receive an MP3 download code courtesy of our friends at LivePhish.com / Nugs.Net. To win, be the first person to identify the song and date of the mystery clip. Each person gets one guess to start – if no one answers correctly in the first 24 hours, a hint will be posted. After the hint, everyone gets one more guess before Wednesday at 10 AM PT / 1 PM ET. Good luck! Reminder: For the first MJM of each month, only folks who have never won an MJM are allowed to answer before the hint. If you have never won an MJM, please answer as a blog comment below. If you have previously won an MJM, but you'd like to submit a guess before the hint, you may do so by PMing me; once the hint has been posted, everyone should answer on the blog. 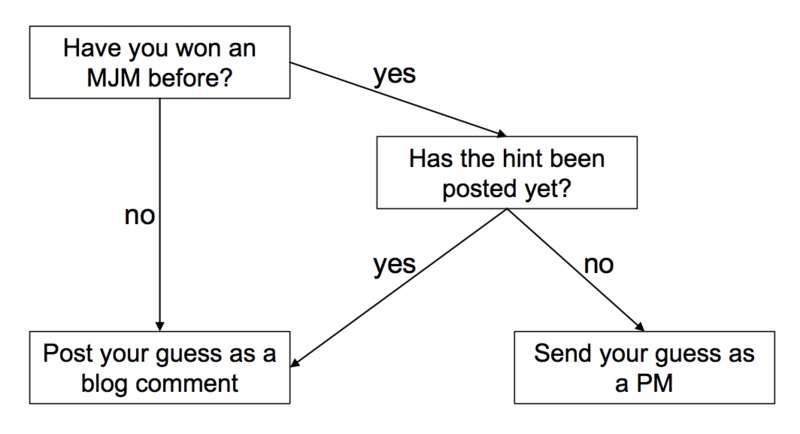 If that's confusing to you, check out the handy decision tree that @ucpete threw together to help guide you. If you're not sure if you've won before, check in the MJM Results spreadsheet linked below. @ucpete, mouth agape: "Dude, this would make a dope MJM!" Me, turning to @ucpete: "I was just thinking the exact same thing hah!" @ucpete: "Good thing you're taping tonight, let's use your recording!" Answer: No, this MJM was not a giant crustacean from the Paleolithic era. Quite the opposite, in fact - this jam was a young 'un, the 10/17/18 Mercury. As the hint suggests I had the good fortune to catch this show with @ucpete. We may have gotten our rage on that evening, but more importantly @RageWithPage wins his very first MJM code! Will he be a one-hit wonder, or will he now enter the fray as a new challenger on a path to the promised land of emeriti? Stay tuned next week to find out!